Beautiful artwork throughout this thread. If I may, I would love to see a formation of B-70's using the AV1 design. IMHO, the dihedral of AV2 spoiled the lines of an extremely beautiful aircraft. AV1 possesses a look of raw power and speed. Thank you for posting your art. My mistake Steve. You are correct. After a "long time", I'm back. I know I still owe you a XB 70, but in this meantime I had to do some commissioned works and besides it I'm looking for a new pc, the one I was using is out of work. Let's end with complaining about the problems and show those mentioned works. I have to say that I loved the Fiat G91 picture. I think the issue is that the Kfir's "telephoto-ed." There's very little parallax distortion (although there's foreshortening) and if the apparent distance is not great enough, it seems too small in front, too big at rear. The smaller you view the picture, the more normal it will look. I've seen some of Mr. Uhr's works that have lots of parallax, to dramatic effect! Thanks Ian for the tip and comment. Certainly It'll give me parameter for the next projects and turn me more alert to these problems. Only today I saw your post. Soon I'll post some new works I did. By the way Ian, is it good or not to have "lots of parallax, to dramatic effect!" ? Sorry, Daniel--I only saw YOUR post just now. Can you have too much parallax distortion? Maybe it's partly a matter of personal taste. I seem to have a high tolerance for sleek aircraft getting in my face. I like all your work, though, whatever the degree of "immediacy." Thank you once more for the comment. I'm glad to know that you like my work. I know that this kind of style that I adopted is not largely appreciated. It gives, sometimes, too much impact/dramaticity and people (in general) tend to choose less dramatic (at least, that what it seems to me) . I, as can be seen in my latest works , prefer it under a impressive look. Reflect of my experience in the aeronautical area and my perception of the aircrafts. As you said - it's a matter of personal taste. P.S. Whenever you or any one else wants to do a comment about my work, feel free to do it. They are always welcome, since it is grounded and contributes to the growth. I've been out for while, due to the works I had to do. Well, I'm posting two works I did recently. Besides, one of these two became also a wallpaper (1921x1200px) that is available for free in my website at the news link. of my room. Somehow your pictures bring back those times. Thank you ! This "feeling" you reported in your text, brought me back to a time when I was ten years old and dreamt in doing the arts for the scale box kit and now I reached it. After a long time I'm back. I really liked the cover for American Secret Projects. I did other book covers, soon I'm going to post here. 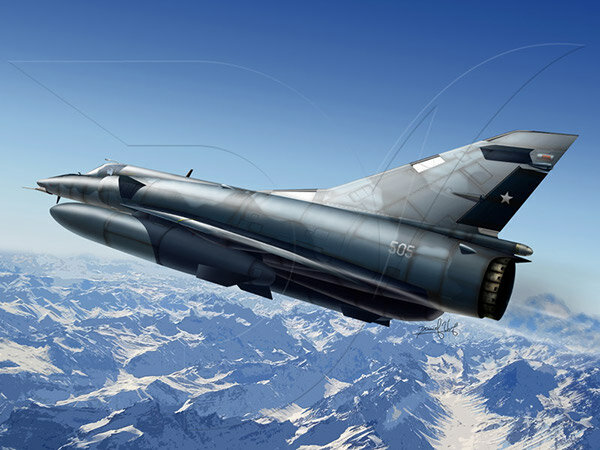 By the way, the art below is an Atlas Cheetah done for a scale model cover box. Daniel, it is a real pleasure to be able to look at your various works of art! I hope I get to work with you again on Tony and my next project! And possibly others as well. Very best wishes from a real fan. Thank you very much for the comment!!! Certainly we're going to work together in your next project and so on! The pleasure is mine to work with you and Tony, in fact an honor! Best wishes from a fan of yours! I can't find any information about this Dassault 117 project. Until this work, I had no idea of its existence. The few infos I received, I can not post it. Sorry. I think the way to gain more info about it is acquiring the book. Thanks for the explanation, Daniel. Is it so secret that you can't even tell a period and a role ? like bomber 1955s or recce 1960s ? And do you already know what is the planned title for this upcoming book? Book not yet released today, but the title already answer half my questions: Part 1 post war FIGHTERS. And indeed a great artwork by Daniel. It is a project from late 60's. Probably an interceptor, as written by author. For me could also be a Spy plane due to its configuration - two engines that looks like the used in SR 71. Render IA-36 Condor by Aleklicho retouched to recreate tail "T", without reaching the quality of their work only to illustrate. Looks great and close to the Tank's project. I'm not so sure, but I think I mentioned a fifth work I did for Crecy besides the other covers shown here. At the time I could not show this new work. 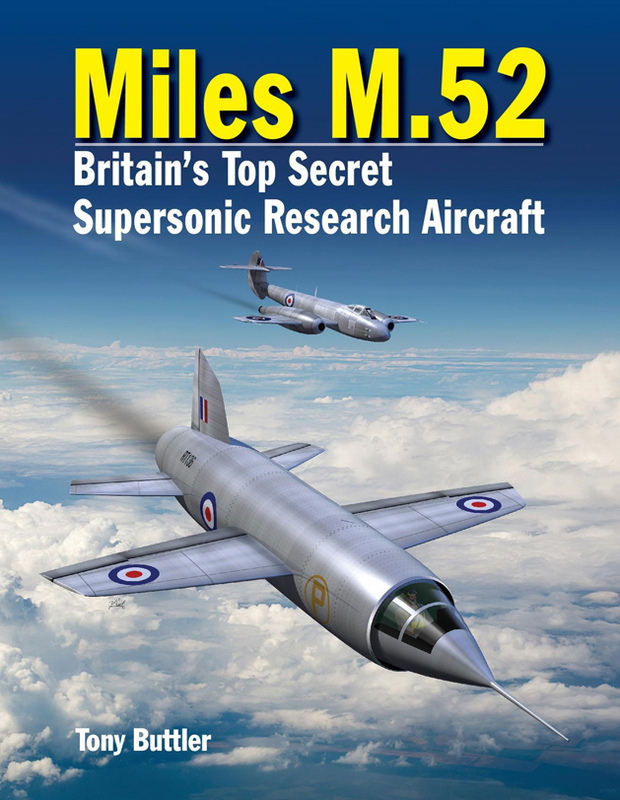 Excellent work, I invite you to seek the cutaway Miles m.52 that I shared on the subject Cutaways Artwork in this forum, the fantastic project supersonic jet modest British firm. I'm going to take a look, thanks! Works I did recently. Some you might has seen in other ports (subjects), some not. Well, I hope you enjoy them. Soon I'm going to post other works. Wonderful stuff, Daniel, thanks for sharing. The Miles M.52 is a favorite of mine. - Thank you very much!!! Looks perfect for a scale model box-art, awsome composition! Yes, your recent work has been really excellent, very impressed. New works - Blohm und Voss! My favs are the B&V projects. Especially 209, 210 and 212. I like them too. In fact I like the projects from Richard Vogt. 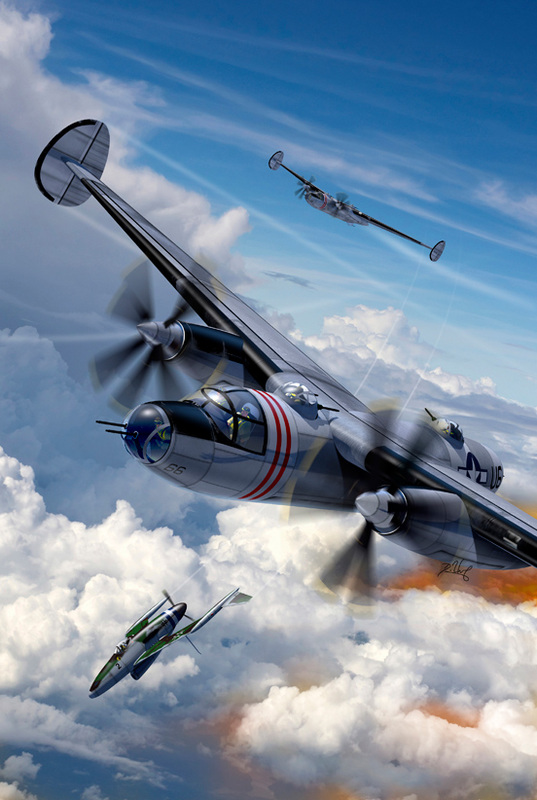 I really like the B-52 illustration Daniel! What do you use to create your terrain, if I may ask? The terrain in your illustrations is beautiful. What part of the world is the 52 supposed to be flying over? (Apologies if I missed that in a description earlier). No problem. In this case Photoshop. I'm not so sure, it is not written in the image I used as reference. It can be a Caribbean or South Pacific area (I guess). Any other doubt, just tell me. It is a funny aircraft. Looks like a toy or a small car with wing. It will be interesting, but first I have to do a Valkyrie, then I'll be able to do it. Let's see what can I do. Thanks. I know. But here we have a bigger version of it. I also liked your other artworks! "...But here we have a bigger version of it...."
I would be enrolled for a photoshop course! I would like to see how such a drawing is made. Have you got any guide? Have you made drawing other BV fighters, P.209, P.210 and my fav P.212 series? It takes time and a lot of pratice. It worth's every minute you spend on it! Generally I do the lines in another software such as Corel Draw or Illustrator then I open it in Photohop to paint it. There are few more steps - for sure. But what I'm trying to tell you is that I don't do the struct in PS but out - it is easier (for me). I think so, I guess I have already painted BV 212, 215, 213, 208 and the 209 - not necessarily profiles, some in action. and try to apply it in your work. What size and resolution do you start drawing? Usually with width = 56cm (height proportional) or a little bigger with 300dpi in RGB mode. Bad Behavior has blocked 4279 access attempts in the last 7 days.